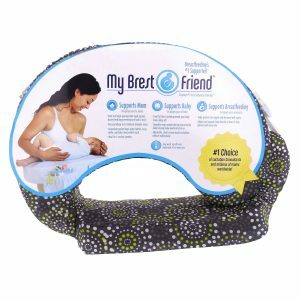 The My Brest Friend Nursing Pillow is the only nursing pillow designed to perfectly position baby for latch-on while supporting mom’s body while breastfeeding. 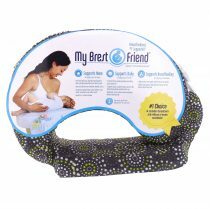 No other nursing pillow on the market is designed to meet the specific needs of the breastfeeding mom and baby. Wrap around design secures to the body helping mom and baby maintain ideal positioning and latch-on. 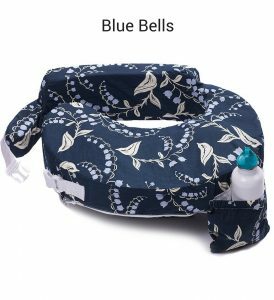 Back rest helps you maintain good posture during nursing and prevents sore back and neck. 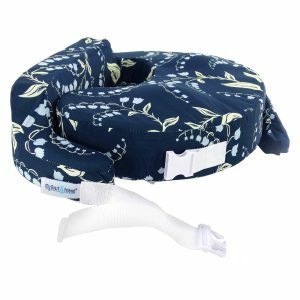 Firm, flat front cushion keeps baby from rolling when nursing and eliminates gap between mom and baby. 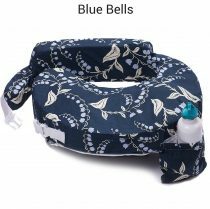 Adjustable, silent-release strap fits comfortably and unlatches without waking baby. 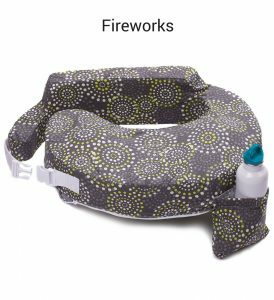 Arm and elbow rests eliminate shoulder stress. Convenient pocket keeps water bottles, burp cloths, phone, and other nursing accessories or items within reach. 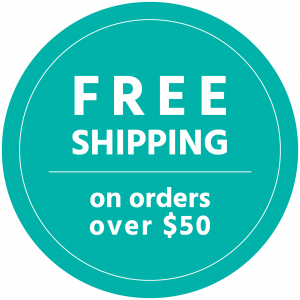 Removable, machine washable cover made of 100% cotton.